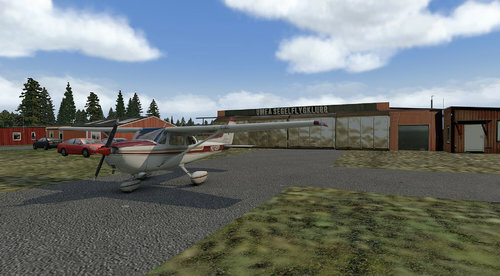 After taking a brake for a couple of months I decided to return to scenery development, and motala was perfect for my goals as the objects were already made for an fsx scenery some time ago when I started by Anders Högqvist and yours truly. If you wish to edit this scenery, please consult me first via a PM. If I am dead or in a vegie state, do as you wish as long as you give credit where credit is due (check my special thanx list). Ortho4xp as the background is made to fit perfectly with orthophotos. SE-lib - most updated version. Just click on the name SE-lib on the download page of rbdesign to download it. The people at Motala flygklubb for pictures. If you happen to find any bugs in this scenery: please leave a comment (and not a review!) below.